Contrary to popular belief, the Vedic rishis did not live a life of renunciation but enjoyed every bit of this worldly life. They found joy in each and every object they saw and every sound they heard. They viewed life just like a child does. The child is not bored at seeing a familiar thing like the little ant repeatedly and wondering at it. This child - like sense of wonder is perceptible throughout the hymns of Rig Veda. While they observed the nature like a child, they expressed their observations as an experienced poet endowed with a fertile imagination. In the subsequent posts we will see some of the Vedic hymns where these two are harmonized. Aravinda Ghosh says that in the Vedic hymns on Agni, poetry is at its best. The resplendence of Agni, as it were, has gone into the hymns on him. Here is a collection of the attributes showered on Agni in Rig vedic hymns. Let us enjoy the beauty of the metaphors. Fire spreads from one object to another near it and travels very far. The Rishi describes Agni as having an easy car. One fire lights many others. Thus Agni creates himself from his own self. The description of the poet is that Agni is his own son. When the sun sets in the evening, we light up a lamp with Agni. Darkness is dispelled. Such a common place occurrence becomes a fine poetry in the words of the Rishi, “Spreading thy web with mightiest horses you come, rending apart the black-hued mantle. The rays of Surya, tremulously shining, sink the darkness in the waters. We have specific places for Agni, like our hearths, homa kundam etc. We do not allow it to go beyond these places. The Rishi fondly calls Agni as one who grows in his own home. Who can compete with Agni in destroying the enemies? Who can obstruct his movement? So the Rishi describes him as the 'Conqueror with mighty jaws' and as the 'Son of strength'. "He slays many in war by the hands of few"; "His course is uncheckable and he passes all in might." Unlike water or air Agni can not be polluted. So he is called ‘the pure’. Not only that, he is also ‘the purifier’ of others. Though we use Agni for lighting in the night, its use increases from the dawn, for performing homams and for cooking. So he is called ‘the bright gift of the dawn’ and ‘herald of the dawn’ “He begot, and will beget, the dawnlights”. We use Agni in the night for lighting, and in the day for homam, cooking and other purposes. Agni is nourished, like a child, throughout day and night. The poet says that Agni is suckled by two mothers, day and night alternately. “Night and Dawn, changing each the other's colour, meeting together suckle one same Infant: Golden between the heaven and earth he shines. The Gods possessed the wealth bestowing Agni”. Agni is spoken of as the son of two mothers and twice born in a number of places in Rig Veda. When we light a fire, the flame is too weak to withstand the blowing wind. So, to protect it, we cup our fingers around it till it grows bigger. The Rishi calls the fingers tenfold secret dwelling. They are also called sisters attending on the infant Agni. In rig Veda, Agni is regarded not only as a deva but he is loved as a dear father, son, friend and what not. He is very kind to everybody and helps each. He is called ‘the maidens' lover and the matrons' Lord’. He is easily accessible to one and all. He does not discriminate between rich and poor in showering his blessings. Here one poor devotee, with no cow to make ghee for the homam and no axe to cut chunks of wood to offer to Agni, has perhaps brought only picked-up dried samith. He prays to accept his humble offering and bless him. There are many references to the forest fire in Rig Veda. Agni is likened to a bull rushing fast. Wherever he goes, the paths become blackened. The wild animals run helter-skelter. All the trees, plants and grass on his path disappear. He is said to lick the dress of his mother earth with his sickle-like tongues. He is also said to shave the earth, just as a barber shaves off the beard. Here are a few examples of the poetic beauty of the description of the wild fire. “Urged by the wind he spreads through dry wood as he leans, armed with his tongues for sickles, with a mighty roar. Black is your path, Agni, changeless, with glittering wave, when like a bull you rush eager to the trees. The radiance of Agni resembles that of the sun. In many verses, this similarity is brought out as in the following example. In certain other verses, Agni is called the ‘sun of men’, that is, he manifests himself as the sun to the people. When to the people's lands you came, spreading them as the Sun of men, with lustre. Note the following hymn which occurs in a sooktham entirely devoted to Agni. Here he is identified with the sun. No mention of Agni here, but it is quite apparent that Agni is referred to by the name of the sun. “He who like thought goes swiftly on his journey, the Sun, alone is ever Lord of riches. In some other verses, Agni is called the lord and controller of the sun. The Rishis who eulogised the fire in the homes and in the forest, now look up where else Agni resides. They observe smoke coming out of the oceans. (In later literature this was named Vadavagni and a story was built around it.) They knew that there could be no smoke without fire. They describe Agni as having clothed himself with the water of the sea. He is called the friend of waters, the son of waters (Apaam Napaat). They called the sea as the confluence of seven rivers. The rivers are called the seven sisters who brought up the infant Agni. “Visible, fair, he grows in native brightness uplifted in the lap of waving waters. “Amid men's homes has Agni been established, Friend, germ of waters. The rishis who found Agni in the homa kundam, in the forest, in ocean-bed volcanoes, knew that whatever is outside, should exist inside also. (அண்டத்தில் உள்ளது பிண்டத்தில்) They looked in and found that the living beings (men, animals, plants) have warmth in their bodies. They inferred that it is due to the presence of Agni. Without Agni no living being can exist. So they called him Jatavedas, (knower of all that is born). The following quotations show that Agni exists inside all living beings as the life force. In certain places such as the Arani Sticks, his presence is not felt by the warmth. But he springs to life once they are churned. Thus he is like the foetus in the pregnant mother’s womb. “Even hard and solid food he crunches with his might, yea, hard and solid food with might”. The following verse makes it explicit that by the term Agni, the reproductive urge is meant. The word Agni, sometimes refers to intelligence also. Agni is called poet, sage and one who knows the future. He is made of intelligence. He is prayed to for removing ignorance. Like Indra, Agni is also called Vrtrahan (destroyer of Vrtra), a rare honour among Devas. Aurobindo and Bharathi, on the basis of Nirukta, aver that Vrtra means one who covers or conceals. Ignorance hides our intellect and so Vrtra refers to ignorance. So, intelligence is figuratively called Agni. Aurobindo prefers to use the term Divine Will. (What that means, I am unable to comprehend.) Bharathi makes it simpler and says that Agni should be understood as அறிவுத் துணிவு. The problem with Auroindo’s translation is that the meaning of Divine Will can not be applied in all the contexts. Agni means different things in different situations as we have seen so far. Not only to the living, Agni is of service to the dead also. Pretas are entrusted to him. Agni sends them to the world of Pitrus and helps them to attain a new life and a new body. The Rishi places his father’s body on the pyre with all reverence and requests Agni not to burn up the body but to mature it so that it becomes fit to go to the world of Pitrus. If Agni wants to satiate his appetite, let him have a goat, but not this body. Burn him not up, nor quite consume him, Agni: let not his body or his skin be scattered. O Jatavedas, when you have matured him, send him on his way unto the Fathers. With your auspicious forms, o Jatavedas, bear this man to the region of the pious. Again, O Agni, to the Fathers send him who, offered in thee, goes with our oblations. Wearing new life let him increase his offspring: let him rejoin a body, Jatavedas. The Rishis say that Agni loves being praised by men. They say that the Rishis more ancient than themselves had praised him and the tradition is continuing. Agni is praised by all the other devas also. He is interested in listening to newer songs of praise. These songs increase his strength. He grants many gifts to those who praise him. He conveys them good news. Worthy is Agni to be praised by living as by ancient seers. Show pleasure in this laud of ours. And food, with heroes for our sons. By this our prayer, O Agni, be strengthened. Both Gods and men obey this Ruler's order. The Gods praised their joyous Herald's labour eagerly burning, Agni, in the forests. The Rishis find that Agni is mighty, omnipresent and helpful to one and all. So they call him the greatest of Devas. This honour has been given to various Devas at different times. But Agni’s greatness lies in the fact that he carries food to all the Devas and without him all of them would have to starve. He is the messenger between gods and men. He is the king of sacrifices. He summons all the Devas to the sacrifice. The food for the Devas, ghee and honey are entrusted to Agni. So he is called ghee-ladle-mouthed and sweet- tongued. Every natural force has a property/quality of its own and all these properties are controlled by one supreme law. This natural law is variously called rtam or vratam or dharma in Vedic parlance. Agni, a natural force, is said to be born of rtam. He abides by rtam and is the protector of rtam. The rishi says that Agni lies in the lap of rtam and never moves away from it. Established in ghee is Agni's pasture, on the Gandharava path of rtam. The rishis wonder at the great powers of Agni and praise him as the greatest of Devas. Not only that, he is the embodiment of all other Devas. 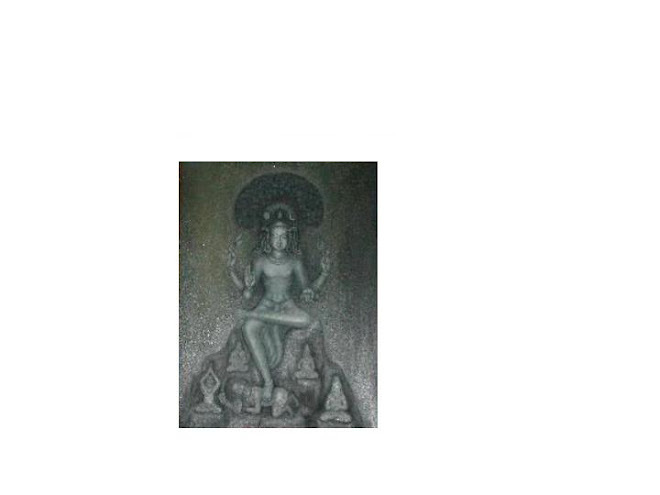 He is Brahma, Vishnu, Indra, Brahmanaspati, Rayivid Brahma, Vidhata, Varuna, Mitra, Aryaman, Amsa, Rudra, Maruts, Pusan, Savita, Baga, Ribu, Aditi, Hotri, Bharati, Ila, Vrtrahan, Saraswati. What is the supreme power which has invested Agni with so much powers? The Rishis wondered. They concluded that Agni is the power behind all the Devas and He is the omnipotent, omnipresent and omniscient God. In the Vedas, the infiniteness of the universe is called Aditi and the eternalness of god is called Satyam. Agni is also called the infinite and the eternal. Thus Agni, which is a common phenomenon for us, is developed in the minds of the Rishis as a god and finally he is raised to the status of the Supreme God. In the same way, whatever the Rishis looked at, (say for instance Vayu, Savita etac.) they thought over it, meditated on it, and attributed divinity to it and finally made it the Supreme God.